The brutal theocratic regime of Saudi Arabia is suddenly everyone’s favourite fundamentalist gang of war criminals after announcing — in a specially coordinated announcement at home and in Washington — that it would be joining the 19th century in allowing women to drive. Don’t hold your breath on this story either, the new ruling doesn’t come into effect until late June 2018. And it’s possible there may be other restrictions, I’ve read that women will not be allowed to drive after 8 pm at night and the new law will only apply to women over 30. I’ll correct this if that is incorrect. 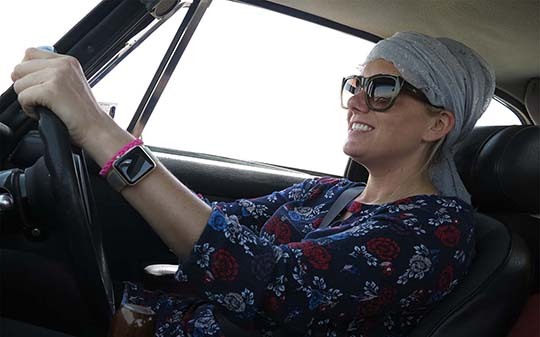 ▲ Here’s my daughter Tashi behind the wheel of my Silk Road MGB recently as we drove across Iran. Not get executed for sorcery.